Do you have peeling, split, or cracked nails? Do they break easily? An easy rule of thumb to remember is that if your fingernails are splitting, but you don’t have cracked toenails, an external factor is more likely the cause. If you’re having trouble with both, internal issues are probably involved as well. Keep reading to understand what causes fingernails to crack. Along your reading you will receive many tips to have natural, beautiful fingernails and how to keep them healthy. Fingernails age right along with every other part of your body. Age-related changes include the nail matrix thinning, slower growth, and brittleness. Your nails also lose their natural oils as you age, mainly from dehydration. Hormone fluctuations during menopause impact the water levels in our bodies. Make sure you’re getting enough water to prevent dehydration, it is a common cause of peeling nails. While we can’t stop our bodies from aging, we can give them support through the process. Proper nutrition and moisturizing will help tremendously. Chemical ingredients are one of the leading external causes of cracked fingernails. Some typical products that are harmful to your nails when used frequently are nail polish, polish removers, hand sanitizers, and glue adhesives. Nail polish contains many harmful chemicals that damage and dries out your nails. Nail polish removers that contain acetone are even worse. The level of damage related to nail polish may vary from brand to brand too. You may notice using a particular color causes your nails to peel more than another. Hand sanitizers contain a significant amount of alcohol, which we all know is a drying agent. Strong soaps and cleaning products will also do the same. Another big cause of nail damage is artificial nails. Many people wear acrylic or gel nails. The longer you wear them, the more damage you’ll do to your natural nails. Think about giving your nails a break every few months to avoid infections and severe damage. Having your hands in water too often can cause weak and cracked nails also. Wear gloves if you have a job or task, such as washing dishes, that requires you to have your hands in water a lot. Applying moisturizer immediately after getting your hands out of water is an effective way to help your nails along. This regimen includes after washing your hands or taking a shower. To find a good moisturizer you may look for proven hand and foot care brands like Neutrogena and O’Keeffee’s. They offer concentrated creams that repair extremely dry skin and by the same occasion take good care of your nails. 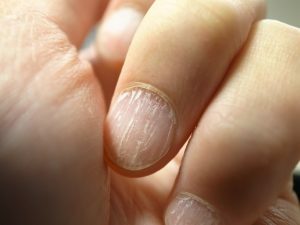 Your peeling and cracked nails may be a sign of an underlying health problem. Have you noticed body weakness, unexplained weight gain, or joint pain? These are all symptoms of hypothyroidism. Having a combination of these symptoms could mean thyroid problems. In this is your case we advise to see your doctor and make sure your symptoms are not due to medical issues. Getting enough of the trace minerals iodine and selenium will help this condition. Also avoid eating foods that increase inflammation such as sugar, highly processed foods, and nutrient stripped white flour. There are several nutritional deficiencies can make your nails weak. Magnesese and iron deficiency are especially frequent. 20% of women, 3% of men, and 50% of pregnant women don’t have enough iron in their bodies. Besides eating right, biotin, or vitamin B7, supplements are effective at treating brittle nails. You can buy a food supplement formula that contains biotin, or you can eat foods like almonds, eggs, onions, and tomatoes that include biotin. Collagen is terrific for strengthening not only your fingernails but hair and teeth too. After all, collagen protein is what builds them. Adding collagen powder to your cup of coffee each morning will make your nails stronger and stop the cracking and peeling. Since our nails grow slowly, keep taking biotin or collagen for at least three months while you wait for your nails to grow out. A final note about nutrition and nail health; you need to have a healthy gut that can absorb these nutrients for them work on healing your nails. 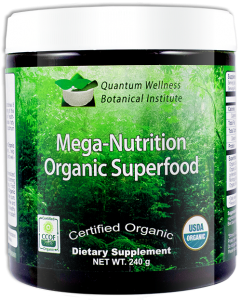 A great way to have a healthy dose of vitamins, digestive enzymes, minerals, and antioxidants in a natural way is drinking a superfood drink every day. 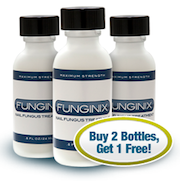 It will help you have a healthy gut flora with all the nutrients you need for an overall good health. Obviously it will have a positive impact on cracked toenails as well. Cracking nails that turn yellow are commonly caused by a fungal infection. This condition indicates an advanced stage of the fungal spread under the nail. Unfortunately cracked nails combined with nail fungus become more difficult to treat. They spread easily affecting more than one nail so you should take it seriously. Nail fungus is more common in older people but can affects people of all ages. You can prevent it by keeping proper foot and hand care. Moisturizing your hands and feet regularly, not wearing polish or getting artificial nails, and using sanitized clippers can help on this matter. But if your nails are infected by a fungus, the sooner you start an effective treatment the better. Which treatment? This is a long story that goes far beyond this article. 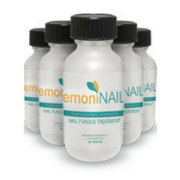 Read our in depth nail fungus treatment review to discover the best options to get rid of embarrassing condition as fast as possible. Out of balance hormones can make the nails dry, porous, and brittle. Estrogen, thyroid hormones, growth hormones, insulin, and testosterone all play a role. Menopause is a big player in hormonal imbalance and dry nails. If you think you’re suffering from a hormonal imbalance, the first step is finding out which ones. Use your symptoms as a guide. Soft, peeling, and cracked nails might be signs of a serious health issue that goes far beyond aesthetic concerns. They are frequently caused by a mix of external factors like exposure to chemicals and internal factors like nutritional deficiencies and hormonal imbalances. When cracked nails turn yellow they indicate most of the time a fungal infection that should be treated as early as possible to avoid the fungus to spread to other nails. Remember, fingernails grow less than 1/4 inch a month, so be patient with them as they heal and grow. Don’t give up! For cracked nails affected by a fungal infection read our in-depth review of treatments at your disposal. Since nail fungus just get worse with time we recommend to start a treatment as early as possible to get rid of the fungal infection as fast as possible. Have any more tips for growing beautiful nails? Please share them in the comments.